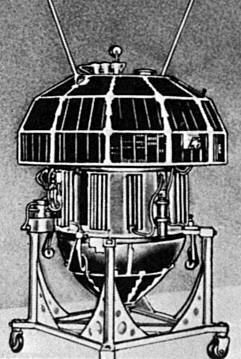 Russian technology satellite. Early Kosmos launcher payloads of unknown purpose, possibly from Korolev OKB. Launched 1962. Status: Operational 1962. First Launch: 1962-04-24. Last Launch: 1962-05-28. Number: 2 . Gross mass: 305 kg (672 lb). Family: Technology, Technology satellite. Country: Russia. Launch Vehicles: Kosmos 2, R-12, Kosmos 63S1. Projects: MS. Launch Sites: Kapustin Yar, Kapustin Yar Mayak-2. Agency: Korolev bureau. Bibliography: 2, 6. 1962 April 24 - . 04:00 GMT - . Launch Site: Kapustin Yar. Launch Complex: Kapustin Yar Mayak-2. LV Family: R-12. Launch Vehicle: Kosmos 63S1. Cosmos 3 - . Payload: 2MS s/n 1. Mass: 330 kg (720 lb). Nation: Russia. Agency: RVSN. Program: MS. Class: Technology. Type: Navigation technology satellite. Spacecraft Bus: MS. Spacecraft: 2MS. Decay Date: 1962-10-17 . USAF Sat Cat: 281 . 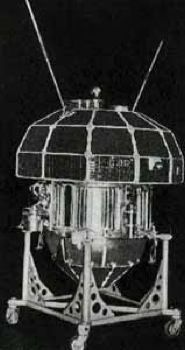 COSPAR: 1962-Nu-1. Apogee: 707 km (439 mi). Perigee: 216 km (134 mi). Inclination: 49.00 deg. Period: 93.80 min. Cosmic ray, radiation data. Investigation of the upper atmosphere and outer space; development of elements in the design of space craft. .
1962 May 28 - . 03:00 GMT - . Launch Site: Kapustin Yar. Launch Complex: Kapustin Yar Mayak-2. LV Family: R-12. Launch Vehicle: Kosmos 63S1. Cosmos 5 - . Payload: 2MS s/n 2. Mass: 280 kg (610 lb). Nation: Russia. Agency: RVSN. Program: MS. Class: Technology. Type: Navigation technology satellite. Spacecraft Bus: MS. Spacecraft: 2MS. Decay Date: 1963-05-02 . USAF Sat Cat: 297 . COSPAR: 1962-Upsilon-1. Apogee: 1,578 km (980 mi). Perigee: 192 km (119 mi). Inclination: 49.10 deg. Period: 102.60 min. Monitored artificial radiation. Investigation of the upper atmosphere and outer space; development of elements in the design of space craft. .